Keeping in mind the many necessities of the patrons, we are involved in providing an extensive range of SS Saree Holder. We provide a wide range of Saree Hangers. 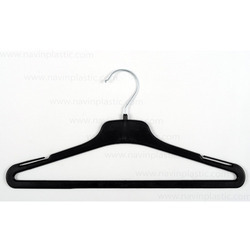 These hangers are made of high quality material and are offered in variegated shapes and sizes. Skillfully designed these hangers do not occupy much space and carefully handles the saree without crushing it. Being a quality-centric firm, we are offering a quality approved array of Saree Hanger. The Saree Hanger we offer is recommended amongst the clients for its availability in various sizes, colors and shapes. Besides, these products are known for its sturdiness. Designer Wooden Hanger Presenting, our wide assortment of Designer Wooden Saree Hangers that are used by the shopkeepers and showroom owners to hang and display their sarees. Our designer wooden hangers are available in a variety of styles, sizes and finishes.